Used in great condition. 60 day warranty included. Model: AAM27JQH9LA1AN. 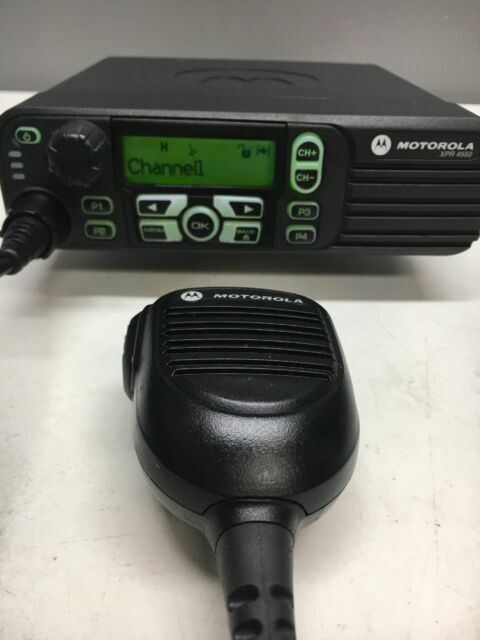 Motorola XPR4550. VHF 136-174mhz. Powerful, front-projecting speaker. Up to 1,000 channels.